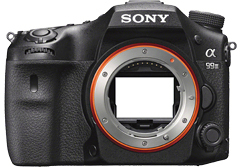 Instead of a new generation of A7, Sony presented the A99 to the photo kina 2016 II. 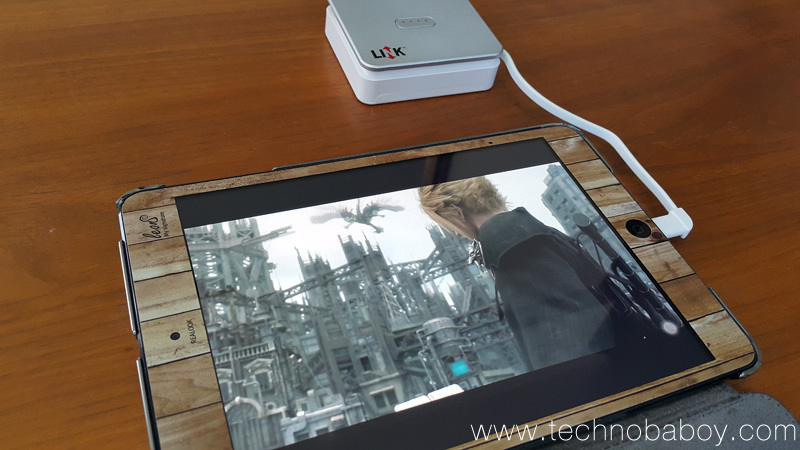 The resolution is growing to 42 mega pixels, 4K-Video is now also possible. 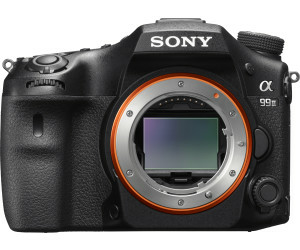 In addition, the A99 has pretty much everything on board, what can currently offer Sony camera technology II. 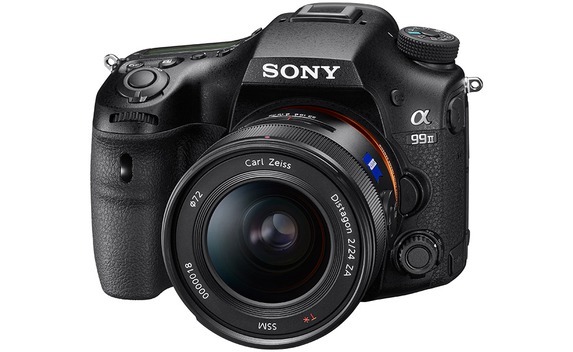 We have the Sony Alpha 99 II in the test. The structure and the performance data are already known from the A7R II: it is illuminated from the back, works without low-pass filter, record videos in 4 k resolution (3840 x 2160/30 p) and has a nominal resolution of 42 mega pixels for 3500 euro. 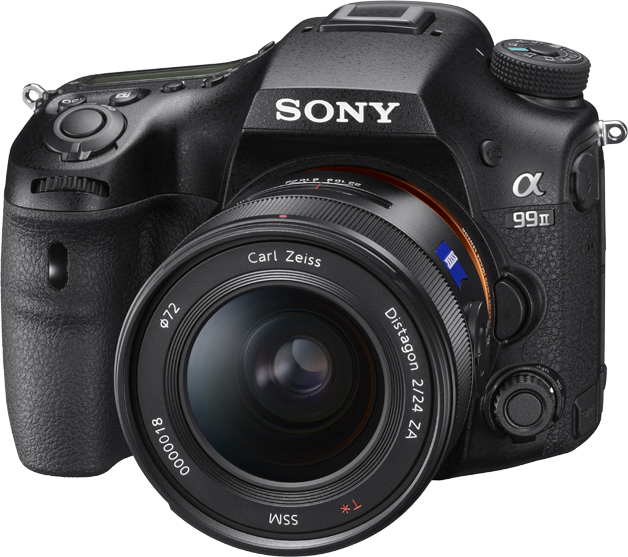 In contrast to the cameras of the A7 – series there is a mirror in the viewfinder system – however, no swinging mirror like in SLRs – but a fixed, partially transparent mirror on SLT models. A beam splitter draws 70 percent of incoming light to the image sensor and the rest in the direction of an AF module above the level. This allows continuous phases AF while shooting like in the movies, while permanent live view on the monitor or in the electronic viewfinder is possible. In addition, the A99 II has a sensor AF system that can be combined with the “dedicated phases AF” – jargon – so the Sony Ericsson. In contrast, the A bayonet used, based on the former Minolta Mount comes to the E-Mount of the A7 models the SLT series. A lenses can be adapted to E-models, vice versa it is not. 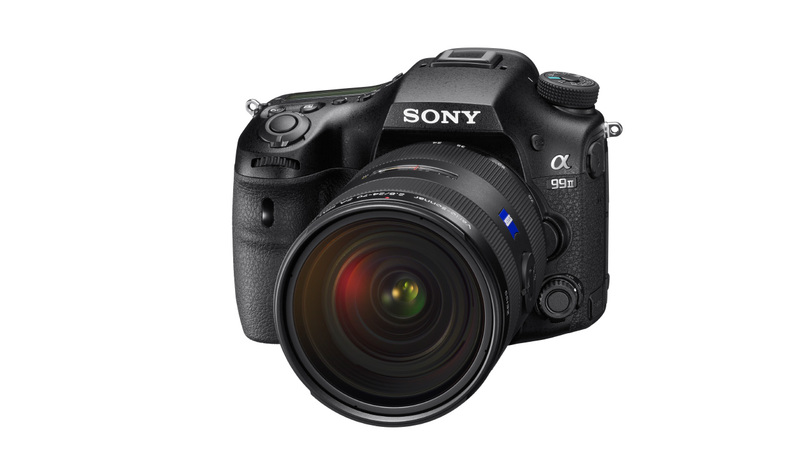 The A99 II is a handsome, modern camera, which outwardly reminds SLR models, overall but slightly rounder fails, which is mainly because of the shallower viewfinder Hill. The housing consists mostly of magnesium alloy, has a very solid, lies well in the hand and is sealed against dust and splashing water. The photographer has to forgo a built-in Flash unit; a hot shoe takes system flash unit. A mobile-bearing image sensor enables the “5 axes” image stabilization with all connected lenses. 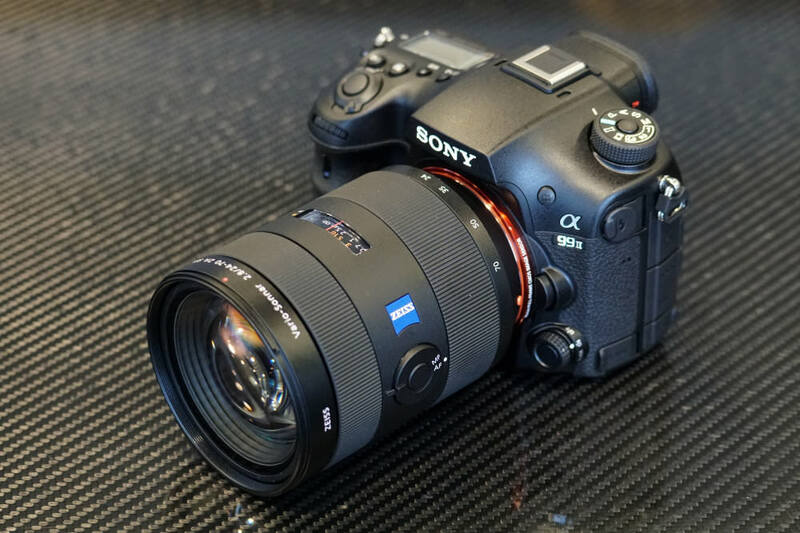 The body size has been reduced compared to the A99: A99 II has now almost the same dimensions as the sister model A77 II APS-CSensor – with the advantage that you can use the about 250 euro expensive battery grip VG-C77 A77 II at the new full frame camera. 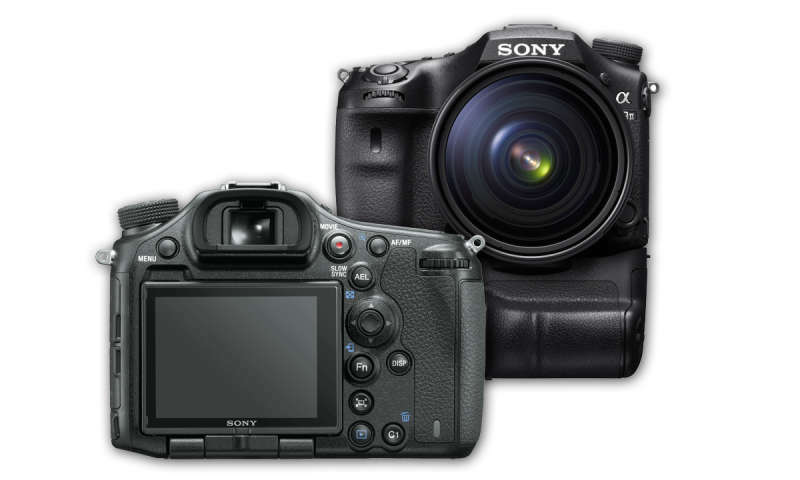 That compared to the A7 series larger housing now offers space for a more powerful lithium-ion battery: nearly 400 images per battery charge, 100 more than an A7R II, aims to create the A99 II in viewfinder mode.Two memory card of slots for UHS-I compatible SD cards reflect the enormous storage space required for high resolution image files and 4K-Videos. Slot 1 is as multi slot for SD card and memory stick Pro Duo created. The electronic OLED viewfinder features a high resolution of 786 432 RGB pixels, and is one of the best on the market. He works as well as without delay, there are differentiated colours, contrasts very balanced.Also with the effective magnification of 0,78-fach he leave a large portion of the competition behind. The 3-inch monitor on the back can be fold out of the housing and turn what very different viewing positions, including “Selfie-mode” allows. However, the monitor is not touch-capable. You know the A99 II phase-AF module arranged above the level of the sister model A77 II. It provides 79 AF points, of which 15 cross-type sensors work. 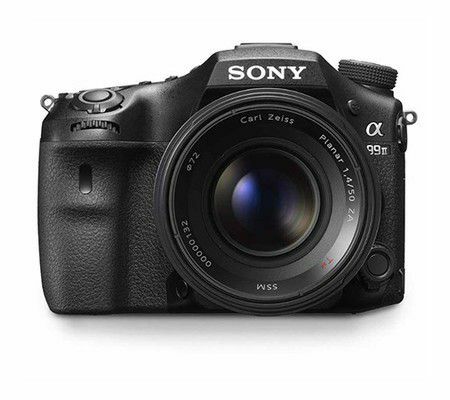 The sensor AF with 399 phases AF points is new to the A99 II. In a central area of the picture box overlap the AF sensors of both systems for a total of 79 cross-type sensors. In the shooting menu (AF1, page 4), you can choose among “AF-system”, whether to the “phases AF dedicated” alone (“only ded. 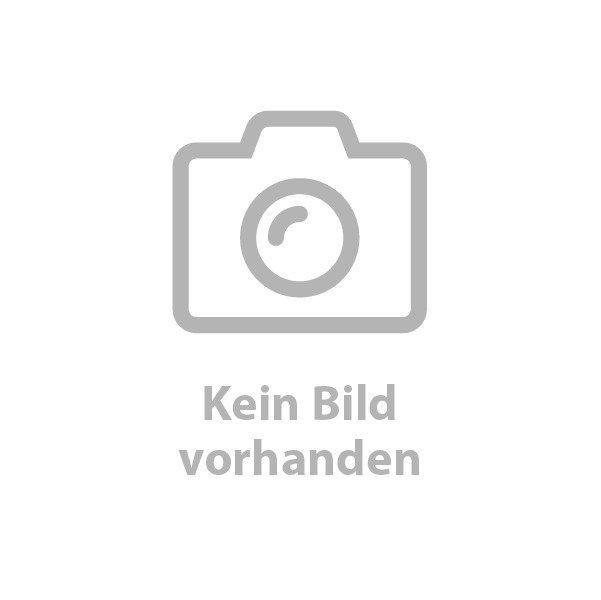 PhasDet.AF”) or use in combination with the sensor AF wants (“car”). The latter offers the higher frame coverage, while the “dedicated phases AF” in the solo mode is slightly faster. However, the A99 II with a shutter lag remains back including AF time by 0.39/0.47 s at 300/30 Lux behind expectations and the very good values of the A77 II (0.22/0.22 sec). 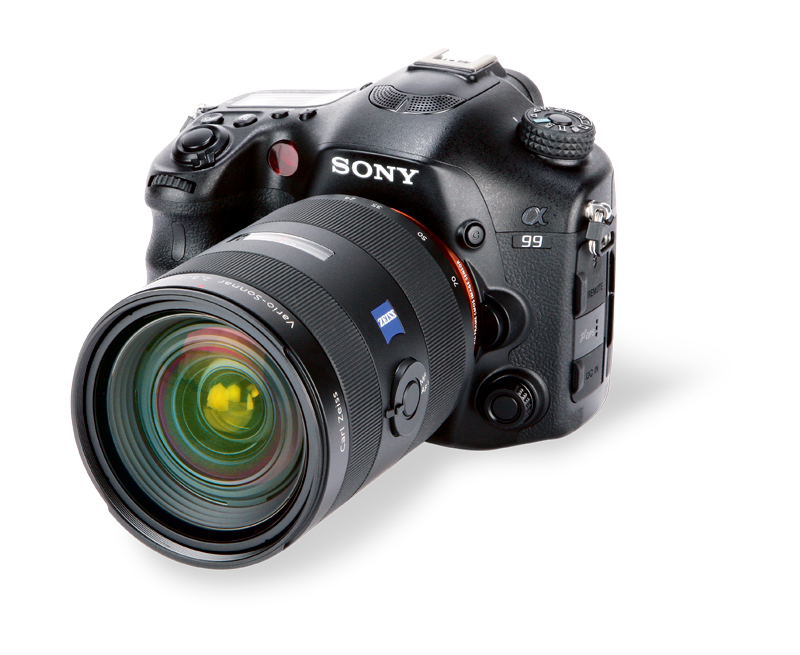 Also not every A-mount lens cooperates with the more precise sensor AF, which is why the A99 offers an option II for the fine-tuning of the “dedicated phases AF”. With a maximum shooting speed of 12 B/s (JPEGs) and 11.2 B / s (RAW) with AF / AE tracking, A99 II is the fastest full format camera that Sony have ever had in the repertoire. Even a sports gun like the Nikon D5 can’t any faster. However, the D5 does a memory buffer for up to 200 pictures, while the A99 creates “only” 62 JPEGs and RAWs 25 in series II and takes much longer for the save operation – given their high nominal resolution but this is a mature performance. 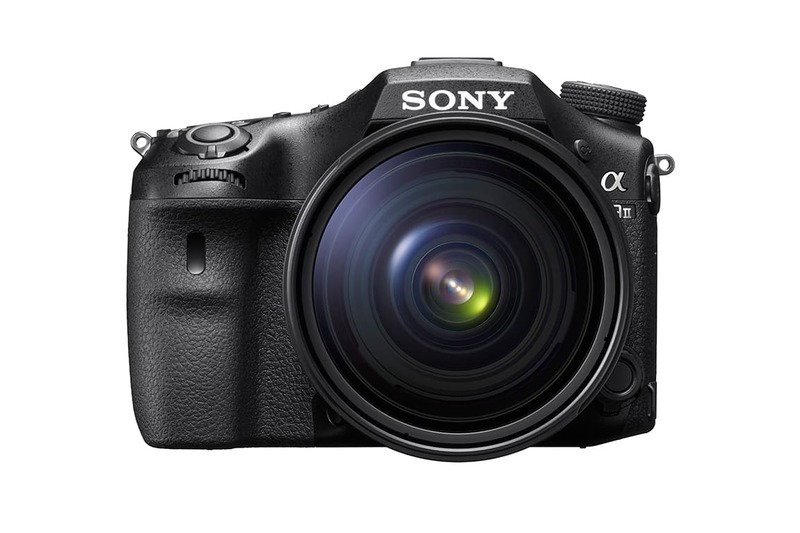 The exposure is determined by the A99 II features a 1200-zone evaluation system. As measuring modes also integral, highlight – and spot metering are in addition to the matrix and Center-hugging measurement (standard/large) available. The spot metering can be also with the focus point, when “Flexible Spot” or “Advanced. Flexible spot”is set. 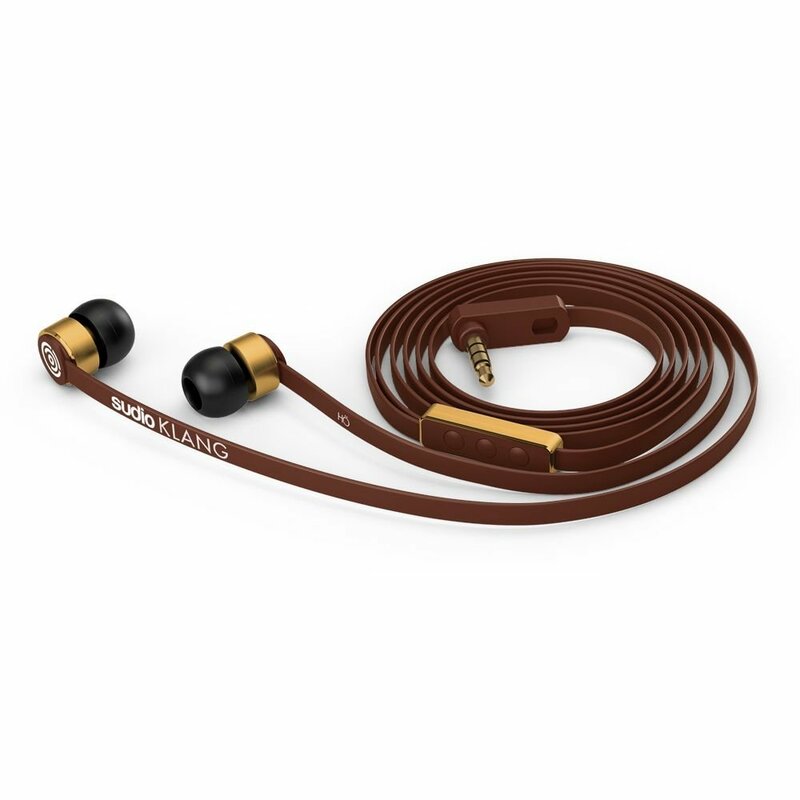 The lock allows s. short times up to 1/8000 s (in videos) and a Flash sync speed of 1/250 The first Shutter curtain can be realized either mechanically or electronically; the electronic version reduces the shutter sound. About the locking mode dial the photographer in addition to standards such as auto, P, A, is also the video and Panorama mode S, M;also, at this point, you have access to three freely configurable user programs. The camera records videos in the format XAVC S in 4K-Qualität; the continuous autofocus supported this calm and precise. 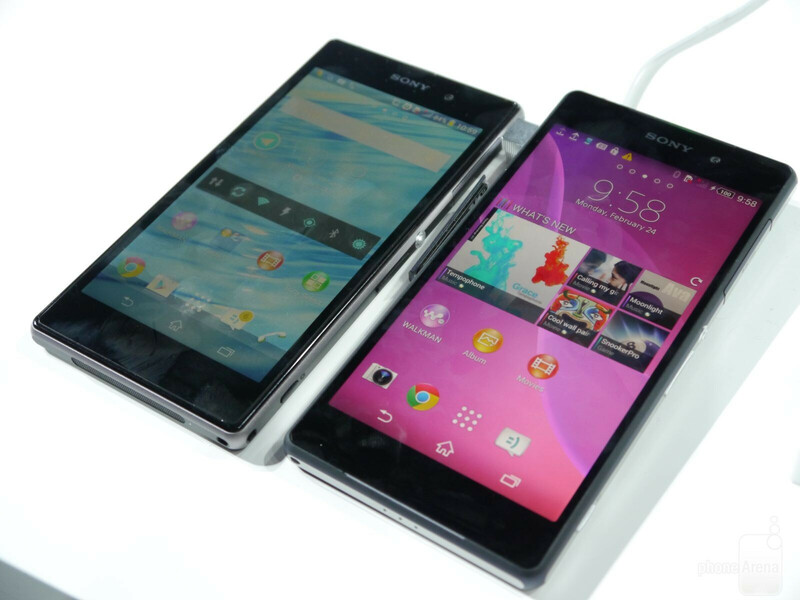 Unlike the Sony mirror less models the A99 comes with a multifunction information display panel at the top II, which displays the most important shooting data. In addition to the adjustment wheels for thumb and index finger there is a joystick as a 4-way switch and the A99 typical multi controller on the front. This small wheel press confirmation key is now either continuously or be used with “Click stop”. With him, you have quick access to AF capabilities, capture settings, picture styles and effects. Using the Fn button the user on the monitor or in the electronic viewfinder can display the function menu. Twelve function fields at the bottom of the image field, you can change settings directly with the Rotary wheel or go into a submenu. Pressing the “DISP” button results in a display mode that uses the entire surface of the monitor for details.Right on the edge of the screen function fields, which can be controlled via the Fn button can be found also. Direct access buttons for ISO, white balance, operating modes (single / burst, bracketing, self-timer etc. ), and two customizable function buttons (C1/2) round off the facilities. The main menu is the rich feature set, extensive fitted, but now more clearly structured. Behind five tabs (recording A1/A2, wireless, playback, settings) a total of 32 menu screens hiding, logically grouped, with up to six entries per page. What you miss is a “My Menu” Department for the personal favorites. As a consolation: the fields in the function menu can be together according to their own taste. The remote control of the camera using the Smart phone app “Play Memories mobile” must be on this installed and opened. The connection can be the easiest way be produced by scanning the QR code with your Smart phone displayed on the camera monitor. Such as aperture, shutter speed, ISO, white balance and exposure compensation you can make recording settings directly into the app, also showing grid lines is possible. What you must avoid, however, is touch AF or touch-trigger in the live image on your Smart phone. The image transfer from the camera to your Smart phone works smoothly: you can transmit the image displayed currently on the camera monitor or select multiple files to transfer. 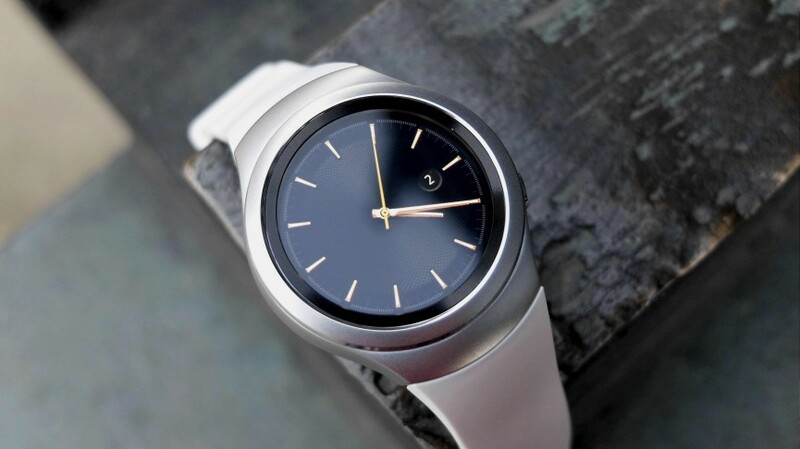 Offers Wi-Fi the A99 II include Bluetooth 4.1 as alternative wireless connection. We could not experience unfortunately still in the tight time frame of our tests so. Thanks to 42 mega pixel sensor without low-pass filter achieved a phenomenally high resolution of 2400 LP/BRA, that of ISO-ISO level slowly decreases A99 II and ISO 12 800 always barely over 2200 is LP/bra.The shows at the same time ensure a high resolution is not a good picture, because 12 800 ISO is maximum good for emergencies. Also in the dead leaves, the camera delivers peak (high/low) 1756/1629 LP/BH at ISO 100. At ISO 1600, the DL value for low contrasts has lost already 400 line pairs, which manifests itself also in the pictures. Quite typical for full-format cameras 800 text urverluste be visible from ISO 1600 still clearly increasing ISO. In addition, that the Sony on massively denied edges which irritating effect depending on the subject. So differentiated the A99 II structures with low contrast so accentuated, that it already exceeds the limits of the natural. The noise remains moderate up to ISO 3200 with UN 1.7 and rises only from ISO 6400 (UN 2.2) more clearly. The dynamics is highest at ISO 400 with 10.3 aperture and is otherwise constant to 9 F-stops to ISO 6400. 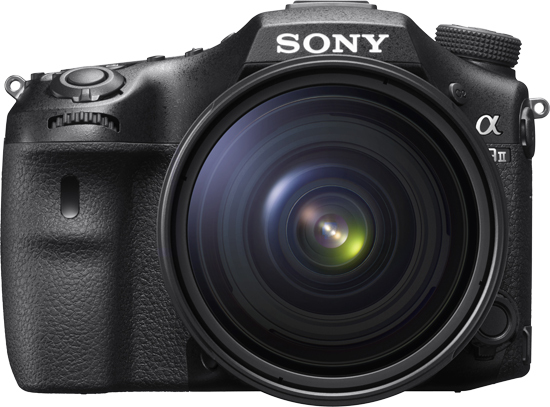 Is the A99 II only a duty by Sony to get longer life the SLT series and the A-Mount? Definitely not: The new SLT model combines finest ingredients from the Sony system to a top camera, which competes with the best SLRs at eye level. The mirror less A7R II it can not but top image quality.